Cap'n Sam's Cottage is in a great location! Located right across the street from the water and just steps from the ferry dock. You can sit inside and people-watch as people walk by from the ferry several times a day. The cottage is very comfortable for 4 adults* and has all the amenities you will need to make your stay on Green Turtle Cay a memorable one. The home features 2 bedrooms, one with a queen-size bed, and the other with a full-size (double) bed. The cottage has a full bathroom with a tub/shower combo. The cottage has a fully-equipped kitchen with stove, oven, refrigerator, and microwave. Plus all the pots, pans, and utensils the chef in your family will need. Captain Sam Sawyer was an industrious Bahamian man who made his living from the sea. Located on Bay Street in historic New Plymouth, his home was built in the 1950's and has been completely remodeled. In his lifetime, Captain Sam sponged and shark fished. His colorful past even included rum running during prohibition. He was a pioneer in the crawfishing (lobster) industry which is second only to tourism in the Bahamas today. He had an 85' Coast Guard Vessel which was docked in front of his house. When he was not crawfishing, he and his wife Mary took fishing parties out on weekly excursions. They collected and sold seashells, sea fans, conch shells, starfish and coral (when it was legal to do so) to Florida Souvenir shops. When you stay with us at Cap'n Sam's Cottage, you will feel the history! Green Turtle Cay is Fantastic! 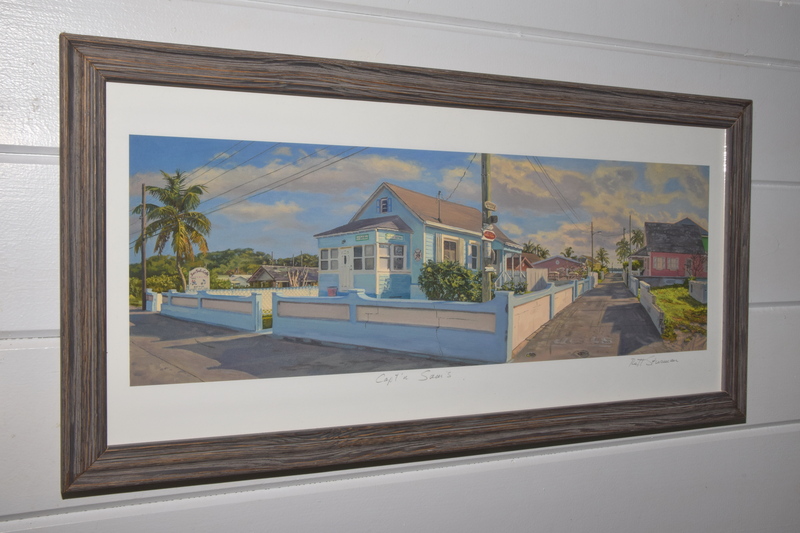 We had never been to Bahamas before and we were a little intimidated about renting an unknown property in another country but the owners/staff of Capt. Sam house made it a breeze. We flew into Treasure Cay, took a 5 minute taxi ride to the Green Turtle Ferry, and a 10 minute ferry ride to the island. ( Ferries are proudly reliable and frequent) and we were met at the dock by Marilyn and Sam to take us to the house which was only 100 yards away. They showed us the necessities of the house and got us our golf cart ( very helpful). House is nicely decorated and had all the luxuries of home like cable TV, wifi, air conditioning and cooking utensils. We took the golf cart to multiple gorgeous beaches daily and explored every nook and cranny of the island. Groceries were easily available although pricey compared to US. Many great restaurants to choose from. Being in New Plymouth was fun as we got to see all the goings on of the small town. Best part of the trip was how friendly all the GTC people are. We will be back! 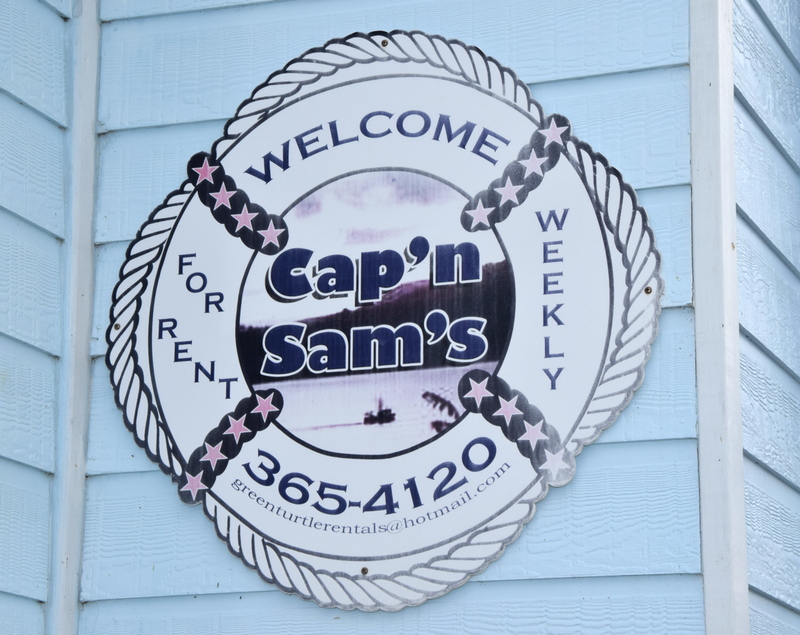 Capt n' Sam's is out favorite place to stay on GTC; our 3rd year back & already reserved for 2018! Marilyn & her team are great host. Greeting us at the dock & helping us unload our boat. They had the house ready with fresh flowers, a/c running & golf cart ready to take off in. Freshly remodeled with nice nautical feel -- it was perfect. As always a/c was cold & comfortable beds after being out on the water. Walking distance to our favorite restaurants, shopping, site seeing & sun sets or take the cart to explore the island. Sat at the dock every night enjoying the views. Our 28 foot boat had no trouble getting in or out, even in low tide. Nice cleaning table to clean your catch of the day. The place to stay -- especially if you have a boat. We love GTC. This year, Marilyn met us at the ferry, gave us both hugs, and said "welcome home". We love the fact that GTC has no-one up in your face trying to sell you dodgy stuff, no beggars, no litter and no crime. Y'all can walk around at 3am in perfect safety. Never had a bad meal. It's a little more expensive than Florida (no more expensive than Nova Scotia) but this is not significant for us. 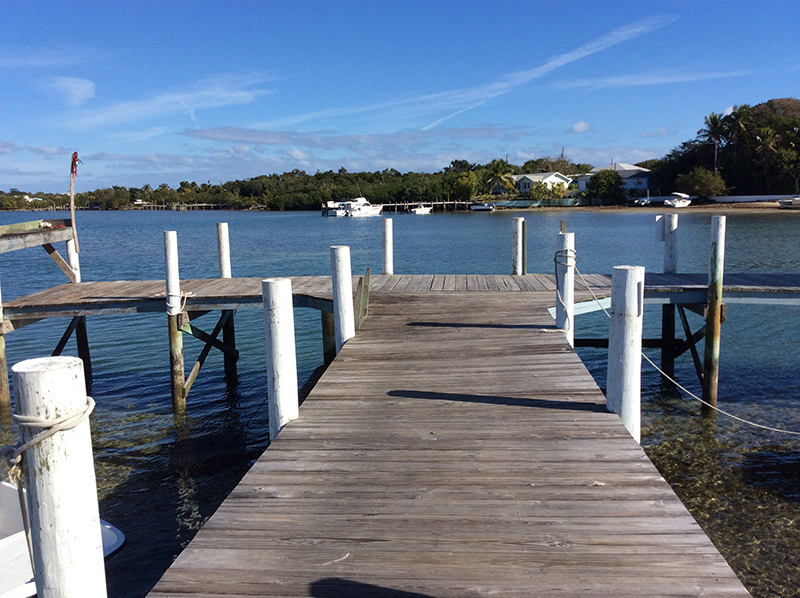 Best beaches in Abaco, no crowds, great fishing. Thank you Marilyn for sharing Captain Sams Cottage with John and I. We enjoyed being back on the island and the cottage was perfect. We look forward to our trip back in November. Thank you again for all your help. We recommend this beautiful cottage to everyone . As if location wasn't enough to make Cap'n Sam's Cottage the perfect choice, their hospitality is always first class. A cozy cottage with comfortable beds after a long day on the boat and cold A/C with all the amenities you will need during your stay. Dockage for our boat right out front makes this an obvious choice for us. Within walking distance to customs, shopping, & restaurants in town. Booked again for 5th year in a row. Great location, free golf cart, and amazing people! Really enjoyed the convenience of the location. Right downtown in New Plymouth with a dock within steps of your front door. We had a boat rental so it was perfect location for us. The golf cart was a huge bonus however you can pretty much walk to any of the shops and restaurants in New Plymouth within minutes. What an amazing island, we can't wait to come back!